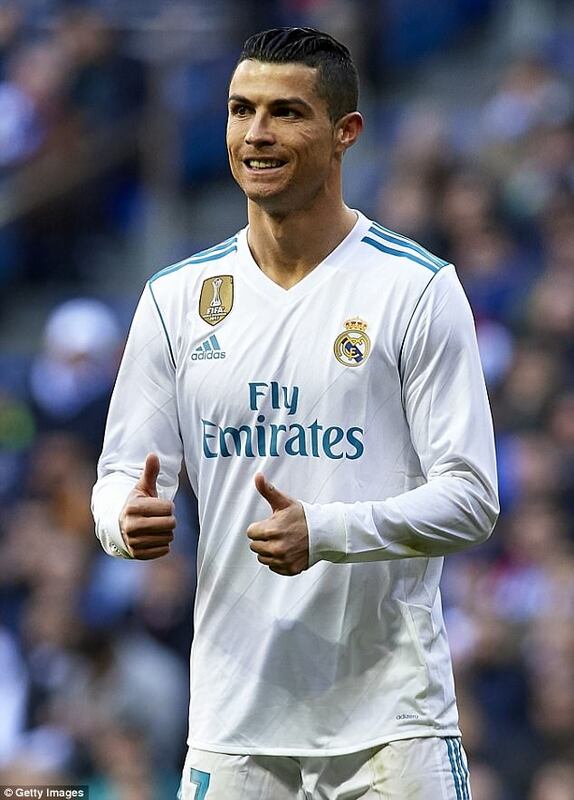 Reports in Spain today claimed that a Spanish Tax Agency boss had argued in court earlier this month that the Real Madrid striker should be behind bars while an investigating judge decides whether he should face prosecution for defrauding the public purse out of more than £13 million. She made the claim during a private hearing on December 7 to the judge leading the criminal probe sparked by the Spanish Tax Agency complaint against Ronaldo. Early this afternoon, the footballer posted a picture of him holding his six-week-old daughter Alana Martina in his arms with his six-month-old twins Eva and Mateo sat beside him on the sofa. But it was the caption he chose - writing: 'I'm a prisoner of these beautiful babies, hahaha' - which was making the headlines today. It was widely interpreted by papers in Spain and his native Portugal as a direct message to Spain's Tax Agency, with Barcelona based daily El Periodico accusing him of poking fun at the central government organisation. The Instagram post came four and a half months after he used the social media site to hit back at critics the day after he appeared in court to answer the tax fraud allegations. Ronaldo, 32, went on the offensive alongside a photo of him standing like a God-like figure in the middle of a dazzling display of light. Former Manchester United star Cristiano, who became a dad for the fourth time on November 12, has been accused of evading €14.7 million (£13.1 million) in tax between 2011 and 2014. State prosecutors are claiming the footballer committed four counts of tax fraud by deliberately trying to hide earnings from image rights over those years. He is insisting he has done nothing wrong. Last month it emerged he had asked a consultancy firm called Equipo Economico, founded by Spain's Minister of Treasury Cristobal Montoro, to help him fight his ongoing tax case. 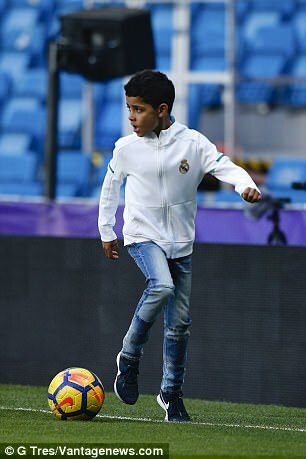 The man hired by Ronaldo's lawyer Jose Antonio Choclan to rebut the claims of Spain's Tax Agency is Manuel de Vicente-Tutor - a former tax inspector who if he had not transferred to the private sector could have been involved in the prosecution case against the world's best player. The footballer has yet to be formally charged with any offence. In Spain, formal charges are only laid shortly before trial and Ronaldo's case is still in the investigative stage with a magistrate who will decide whether to recommend trial. Manchester United boss Jose Mourinho is also the subject of an ongoing tax fraud case. Prosecutors allege he owes the Spanish state almost £2.9 million in undeclared revenue relating to image rights in 2011 and 2012. Ronaldo's latest Instagram post met with a mixed reaction from the public.